24 April 2014 - Some good material, but over worked and over "banged!" 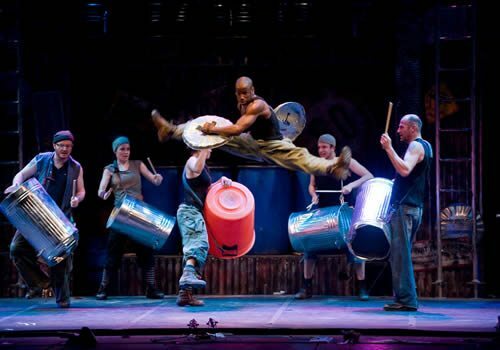 Stomp is the rip-roaring stage show that explores the use of found objects to create and inspire sounds, melodies and movement. Created over 20 years ago in Brighton, England, the show has become an international sensation and has been a resident on London’s West End for over 10 years. The show has been met with a great deal of critical acclaim and has previously won the Olivier Award for Best Choreography in a West End show. Stomp is certainly a show to be heard! What sets Stomp apart from musicals is the performers ability to make music out of anything. Yes anything; the cast work together to create upbeat and encapsulating rhythms out of an array of seemingly useless objects such as bin lids, kitchen sinks and traffic pylons. As much as the show is about the creation of sound, it is also largely about the creation of movement. 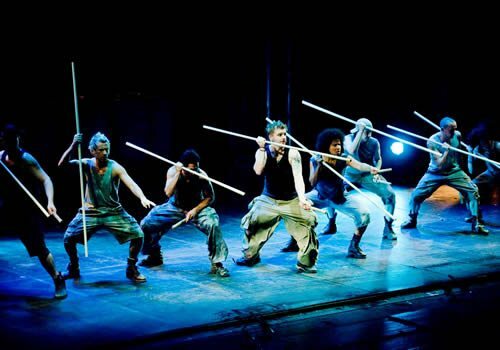 Stomp explores the effect of working with various objects and how it can influence the way the body can move. For instance dancers are able to glide across the stage by skidding with bin lids. Visually, Stomp looks a lot like it is set in the junk yard of a building site, what with all the empty barrels, pipes, broomsticks and bin lids lying around and of course a few street signs to add to the urban effect. However this slightly grimy setting adds to the notion that anything can be used to create music, even objects that people consider to be rubbish can be turned into the most tuneful of instruments. 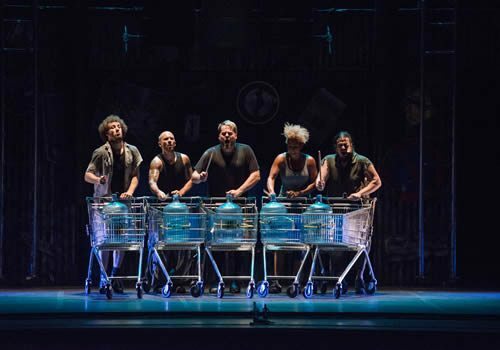 Stomp does not rely on dialogue to tell its story, but rather focuses the universal language of physical movement and sound to convey its message, which makes it an extremely popular choice with international visitors. Stomp is the perfect show for theatregoers looking for an entirely unique experience. Children also love the show for its loud beats! 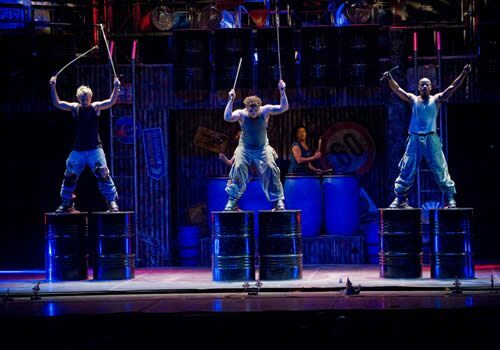 Stomp is an ideal show for all of the family as there is no offensive language or scenes of an adult nature within the show. It is worth considering that the show is very loud, so smaller children may find it a bit much. Children under 5 will not be admitted into the theatre.